Derek’s been a busy bee this week looking at flues. 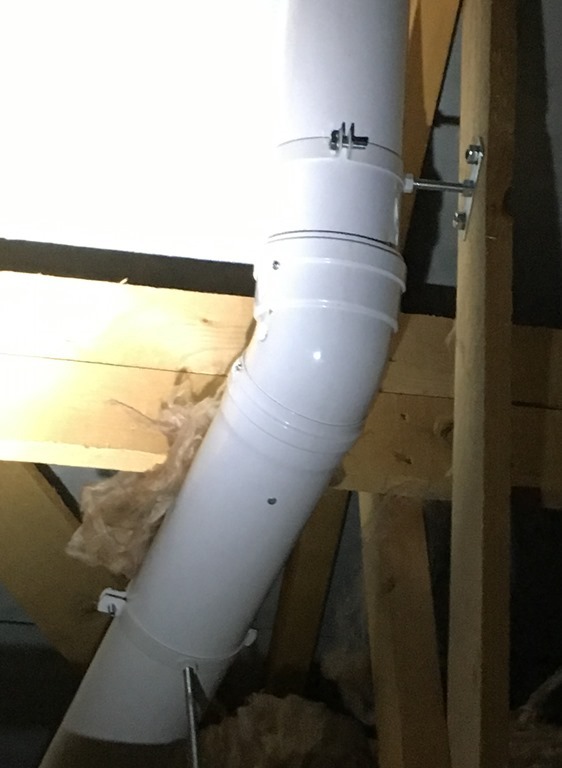 At one property, when we went into the loft to inspect the flue, we noticed that the flue hadn’t been screwed together properly and that there wasn’t enough brackets on the flue pipe to hold it in position. The picture on the left shows another section of the same flue which has been fitted correctly. Note the brackets AND screws holding the parts together. The problems is not that its dangerous NOW, but we have to consider what might happen in the future. 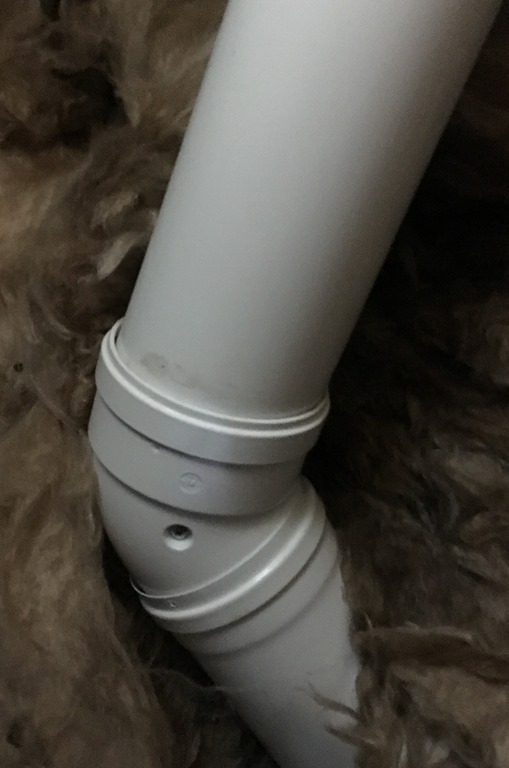 If something or someone was to inadvertently interfere with it, the parts could become dislodged and this would allow products of combustion into the house, this in turn may get into the boiler causing it produce carbon monoxide, which of course is deadly. Derek and I determined this to be “At Risk”* and with the owners consent disconnected the gas supply so that it simply couldn’t be used. Documents were completed and issued to the home owner. By chance, the next day, Derek and I had another call from another customer who had, this time, had his boiler condemned by another Gas Safe engineer and wanted a second opinion as he was facing a bill of several thousands of pounds for a new boiler. In this case the engineer had determined that the boiler had failed the “spillage test” and the “smoke pellet flue flow test” and had determined that it was “At Risk” and as such issued a Warning Notice and labelled the boiler as “WARNING – DO NOT USE”. I carried out some tests myself and found them all to be OK, so I rang the gas fitter and asked him what he had found. He said that the CO2% was too low and that I should know that and that is why it’s unsafe. 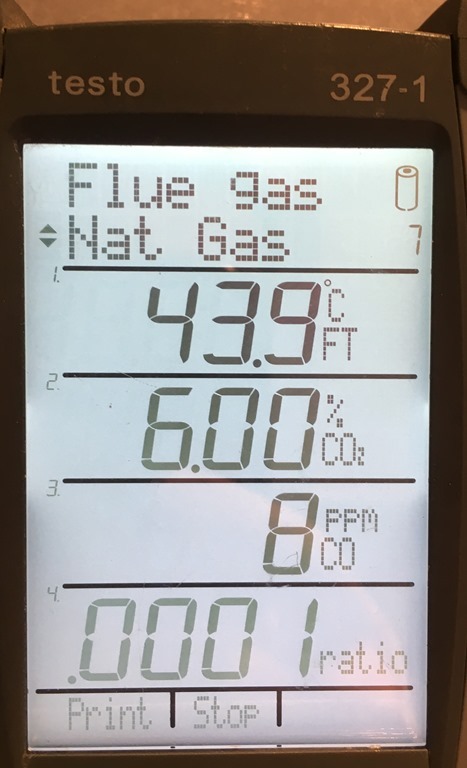 Therefore I rang Baxi to check the figures and was told that there is no published value for the CO2% and so the figure I had found of 6% was fine, not dangerous. I removed the Do Not Use notice and reissued the Home Owner Gas Safety Certificate. 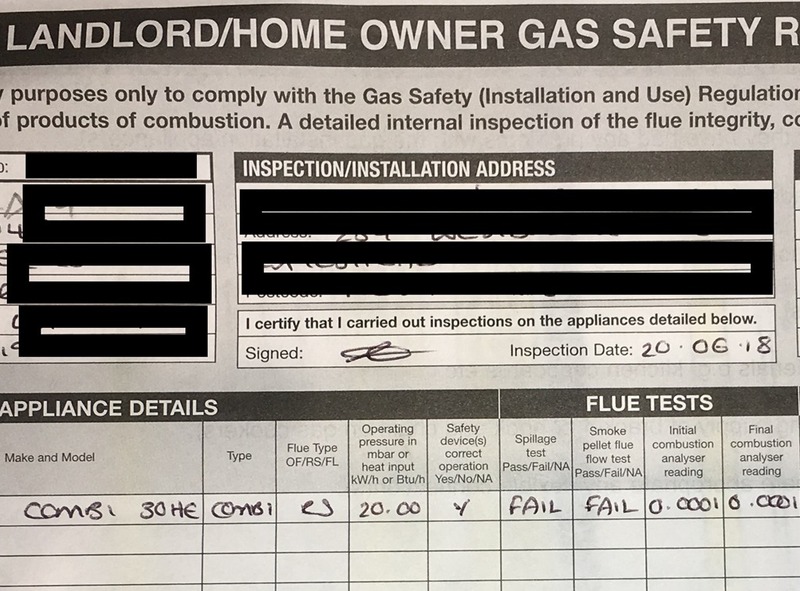 The clients were delighted that they haven’t had to fork out over £2000 for a new boiler and are now confident that their gas appliances are safe.